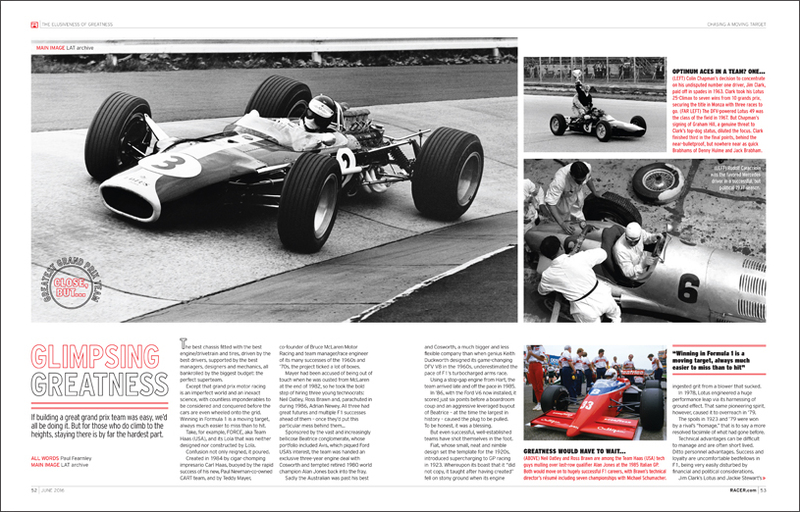 There are teams that have existed for longer – Scuderia Ferrari and McLaren, albeit in two guises, spring to mind. 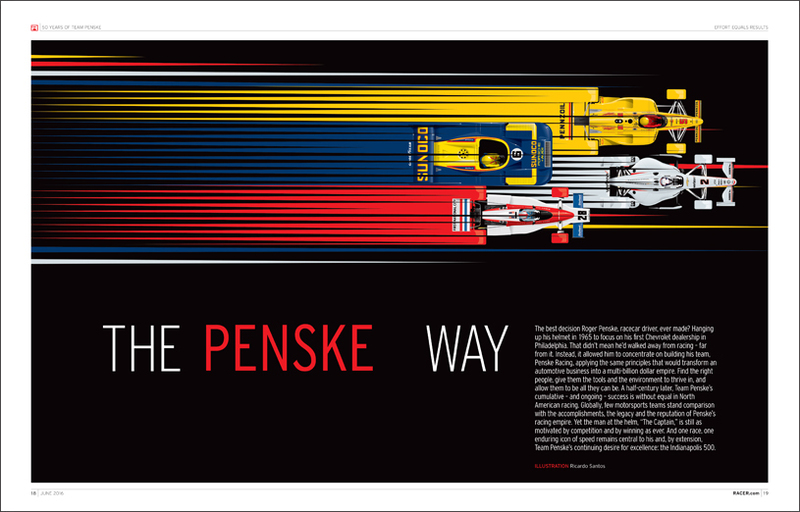 But none have sustained a level of excellence, or accumulated the scale and variety of achievements, or been so defined and shaped by one individual as Team Penske has over its first 50 years. these feel more like a pause and reset – the regroup before the next attack – rather than the periodic losing of the plot that became a recurring motif of the Scuderia. 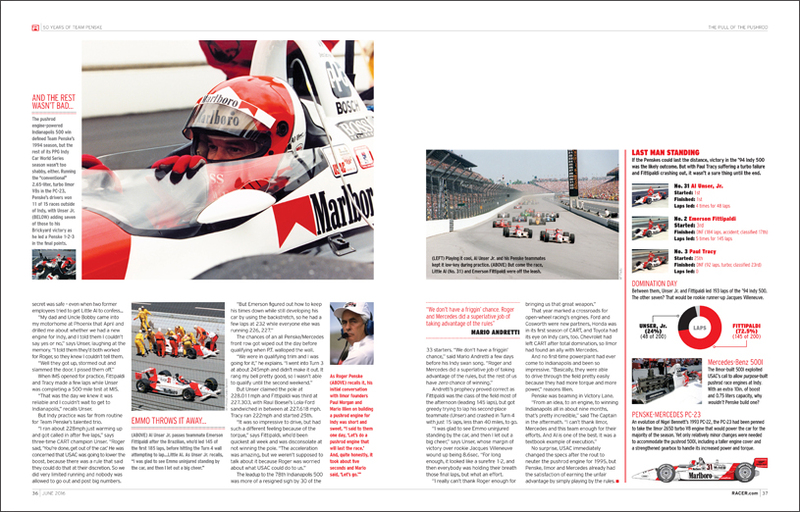 In our third annual Great Teams Issue, RACER celebrates 50 years of Team Penske, and we make no apology that, with the 100th Indianapolis 500 upon us, there’s a certain emphasis on its enduring connection with the race that’s come to define its legacy. 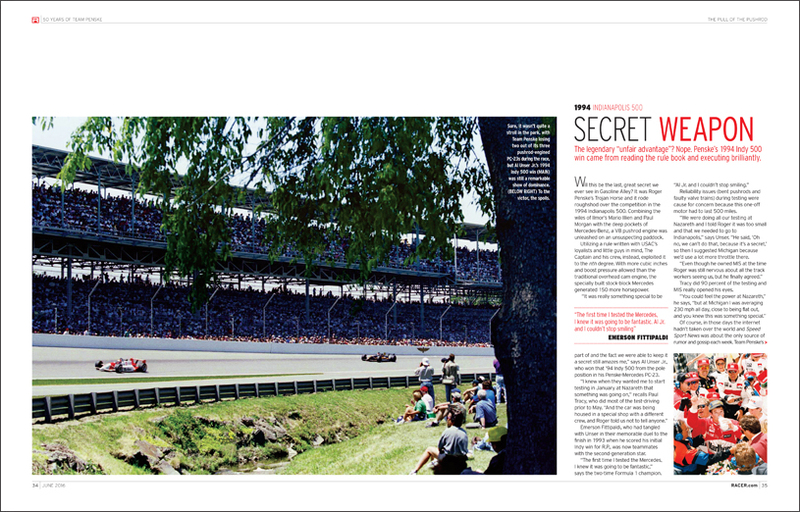 With 16 “500” wins already in the books, nothing sums up the ongoing drive and the will to win of a team and its hands-on owner better than the fact that it headed to Indy as the defending champion, thanks to Juan Pablo Montoya’s 2015 victory, and as the pre-race favorite. 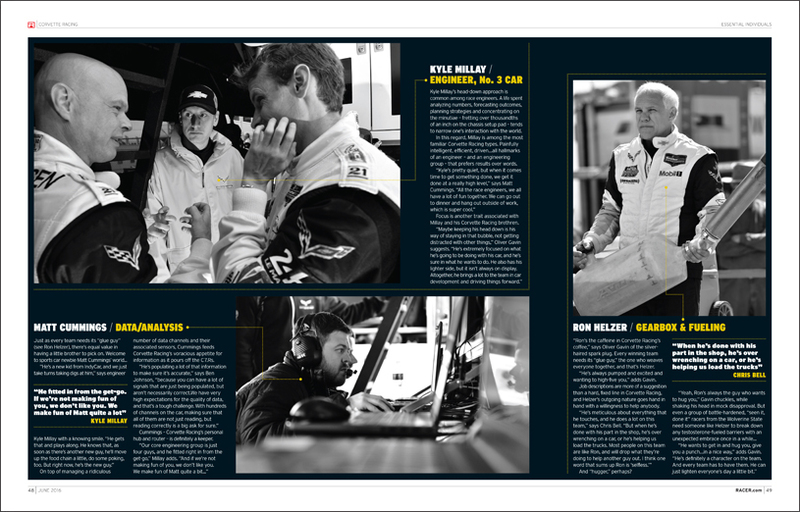 Plus, we’re delving into the inner workings of NASCAR powerhouse Hendrick Motorsports to find out why bigger really is better in the house that Rick built. 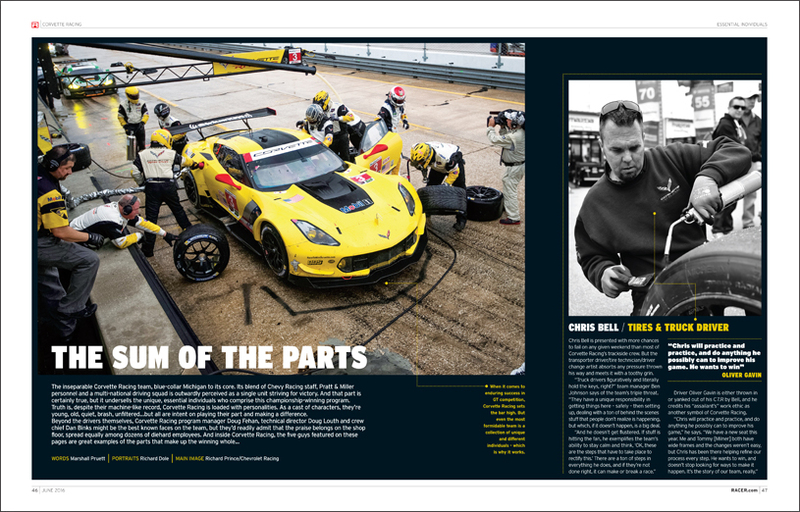 And with Le Mans around the corner, we showcase some of the unsung individuals who make Corvette Racing a GT racing benchmark.